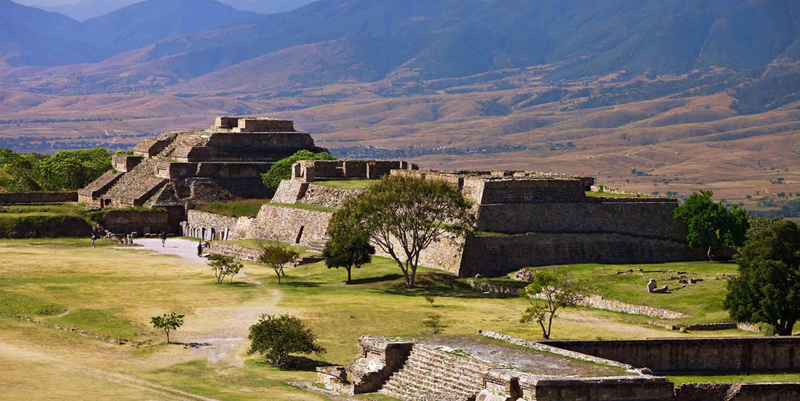 MONTE ALBÁN – Great pyramids and majestic temples in a colossal plaza arise from the top of a hill flattened with only tools made from stone and wood. 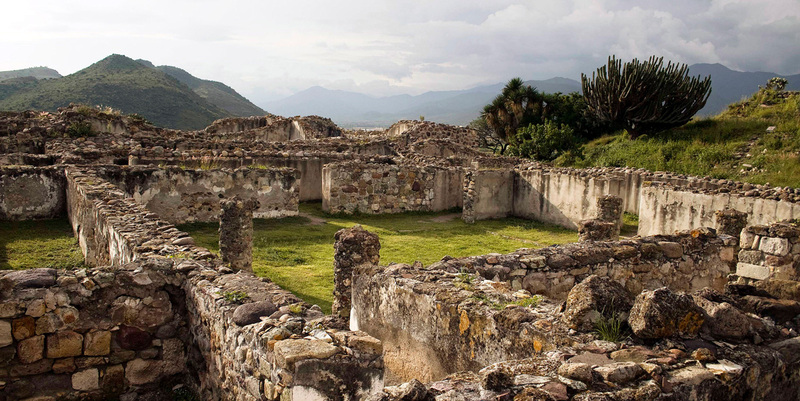 Founded in the year 500 BC, this was the ancient capital of the Zapotecs and one of the first cities in the Americas. It was also one of the most densely populated centers of its time, with an estimated resident population of 40 000 people. It is possible to see the remains of the sacred city, the bases on which temples, palaces and the tombs of governors were raised. In the 10th century, Monte Alban was taken by the Mixtecs, who used it as an intricate cemetery. MITLA – This ceremonial center was established by the Zapotecs when they dispersed from Monte Alban. Mitla was also taken over later by the Mixtecs, who built the greater part of the construction. It is worth noting the small mosaics on the main buildings of the Columnas and the Torrente complexes. The paintings in the manuscript style on some of the lintels in the Curato complex are also notable. DAINZÚ – Among the oldest sites in the zone, these ruins date from 600 BC. The surprising gallery of stone bas-reliefs in this small archeological zone is fascinating. They depict athletes in ancient attire actively competing in the sacred ball game, as well as what appears to be the four gods of fire. LAMBITYECO – The buildings here were only inhabited during the fourth era of Monte Alban. Though there are other structures made of part of rock and part adobe, the pyramid is constructed completely of chisled stone and at its highest part it has a row of roughly worked engravings. 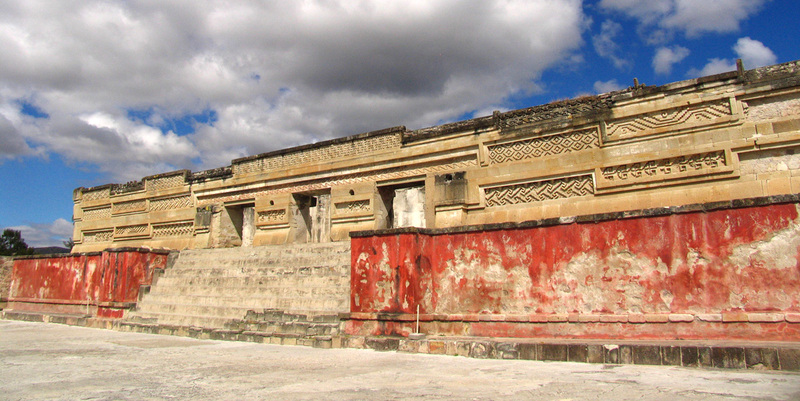 YAGUL – This important prehispanic center, whose names literally means “”old tree”, has among its monuments the largest ball court in the Oaxacan region and the second largest in all the Americas. The most interesting building here is the Palacio de los Seis Patios (the palace of the six patios), an enormous structure that contains numerous chambers.